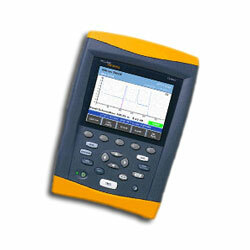 Designed to keep LAN installers on top of the latest requirements for testing and certifying fiber networks. OptiFiber integrates insertion loss and fiber length measurement, OTDR analysis and fiber connector end-face imaging to provide a higher tier of fiber certification and diagnostics. The companion LinkWare PC software documents, reports and manages all test data. OptiFiber enables contractors and private network owners of all experience levels to certify fiber to industry and customer specifications, troubleshoot short-haul connection-rich links and thoroughly document their results.